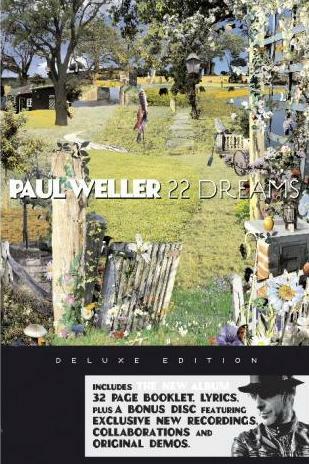 Details For "22 Dreams Deluxe Edition!" – Paul Weller News! Details For "22 Dreams Deluxe Edition!" 1 Comment on Details For "22 Dreams Deluxe Edition!" A 2 disc set, the album plus an additional bonus disc that features exclusive new recordings, collaborations and original demos and 32-page booklet all elegantly presented in a smart hardback book. Previous Entry "In The Studio" With Paul Weller! Next Entry Paul Weller @ Teenage Cancer Trust Benefit – Interview, Review, Set List!